i told you NOT TO PUSH THE RED BUTTON!!!!!!!!!!!! Epic CV joint failure. Never thought I'd actually see one! FOR SALE! 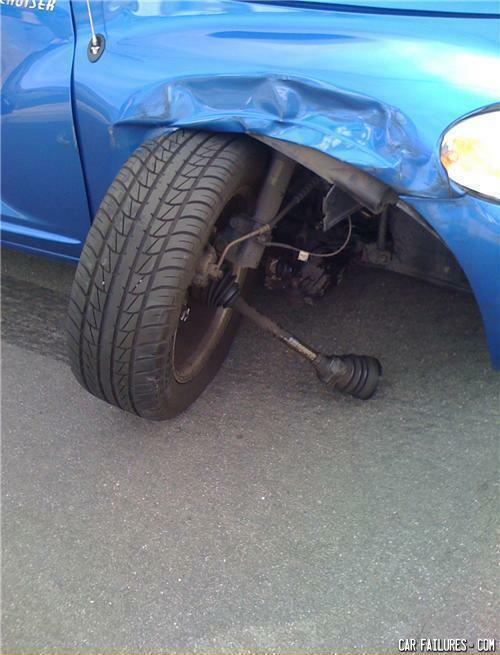 low milage, new tyres, may need wheel alignment! And that is what happens when a lower ball joint fails. PT Cruiser !! Where the PT stands for "Part Time" and this isn't one of those times!! Get behind the wheel of this beauty ! Brians mother always told him to reach for the stars. He died the next morning. Guy - Hey baby, what's your sign? Just because something is unreliable doesn't mean it isn't great. Take, for example, Stephen Hawking. Great man, but most of him doesn't work.